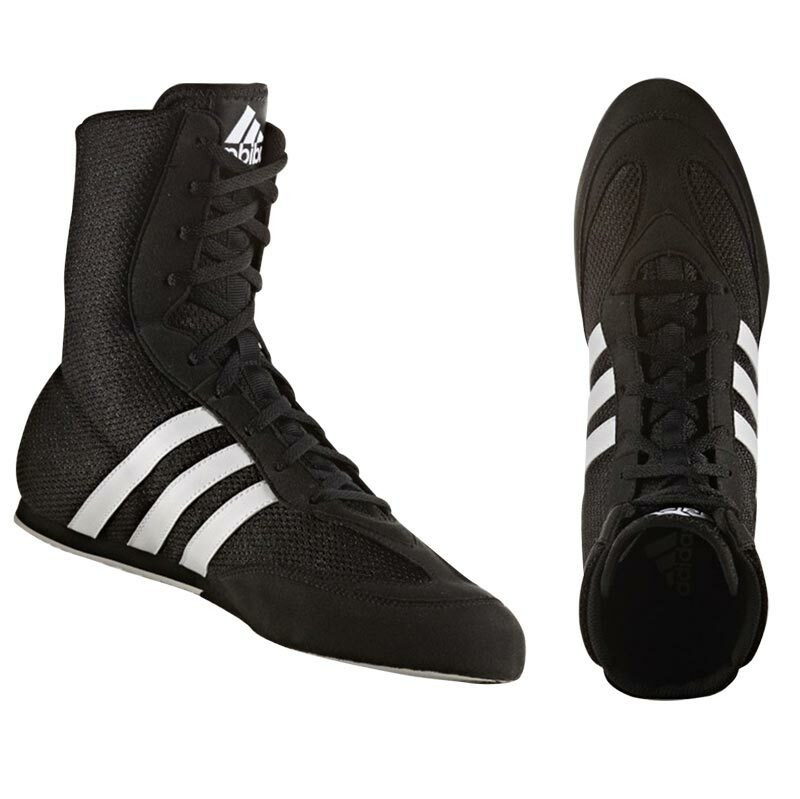 Go the distance with the Adidas ® Box Hog2 Boxing Boots. With its minimalist mesh upper construction to keep your feet cool and comfortable until the last bell. Upper - Mesh upper to help keep your feet cool and comfortable until the final bell. Synthetic Suede Overlays give the Adidas Box Hog II durability. Midsole - Die-cut EVA midsole. Exceptionally lightweight design to help you keep light on your feet so you can move and change direction quickly. Design may vary slightly, black boot with non marking sole. I ordered this product for my 15 year old son who is into his pad work big style. He loves them. They are comfortable, flexible and modern. Brough for my fiance he loves them definitely would recommend big thumbs up ? Quick delivery.. very good product for the price. Great product, very well priced in comparison to any other online shop. The delivery service was very efficient. Enough said! Bought for my son, he likes them, they are comfy and they give him the right support and flexibility. Daughter loves these boots , so light and great quality. They do the job just great. Would recommend as good price for beginners. 5 out of 5 Boss! Thanks to Newitts of York for supplying my new adidas boxing boots. Exellent value for a very good boot. Thank you. Bought these boots a few weeks ago after searching online. They were for my 12 year old son and he loves them. I loved the price as they were the cheapest on the net. Got the delivered to my house in Scotland by standard delivery it said it would take up to 5 days but we got them in 2 days. Really pleased with Newitts 1st time I have used them and I'm sure I will be back in the future for more boxing gear as my boy grows. Excellent speedy delivery , just what my son wanted , very pleased all round ! 5 out of 5 Decent!! Comfortable lightweight and durable great value for money!! I would recommend this product to everyone!! Fast delivery aswell!! Will be using Newitts a gain for sure!! 4 out of 5 Boots aid boxing! I bought these boxing boots in the hope that they would help my footwork as I work towards my Bronze award... I wasn't disappointed. Much better than wearing ordinary trainers, they also look good, fit beautifully and a friend with the same size feet agrees they really help with the turn of the foot to get the hip movement for a properly powerful punch! 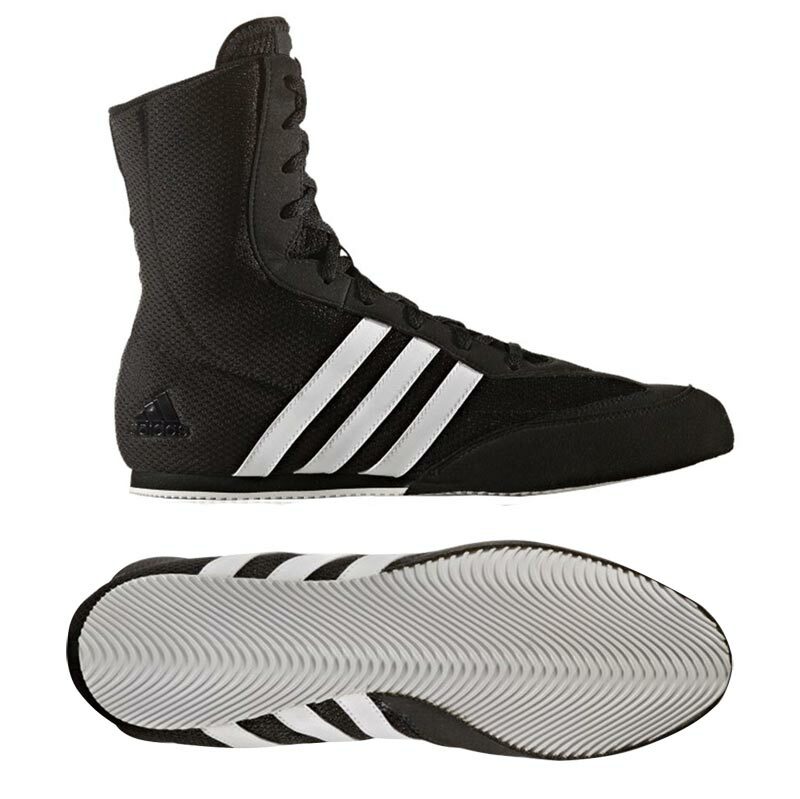 Adidas boss hog Great boot, very well priced for the young aspiring boxer. Comfortable good looks. Excellent in all regards. These boots are extremely light - weight and very Comfortable. As yet I cannot comment on how well they wear as I have only had them a few weeks. 5 out of 5 Amazing!!!! Fantastic boxing boots. They are so light and comfortable to wear. Great value for money too. Highly recommended for kick boxing.